Congress is looking into restarting production of the F-22 fighter jet, according to a defense bill proposal released Tuesday. The House Tactical Air and Land Forces Subcommittee released its portion of the 2017 National Defense Authorization Act, which included a provision to look into restarting production of the stealthy fifth-generation fighter jet. Production of the F-22 ended in 2009, at 187 aircraft — far less than the planned buy of 749, and an Air Combat Command requirement of 381 aircraft. However, the subcommittee offers language that says exploring the idea of restarting production is worthy "in light of growing threats to U.S. air superiority as a result of adversaries closing the technology gap and increasing demand from allies and partners for high-performance, multi-role aircraft to meet evolving and worsening global security threats." In addition, there is interest within the Air Force and the Pentagon in potentially restarting production of the F-22, it said. The provision directs the Air Force secretary to conduct an assessment of the costs of resuming production and to provide Congress with a report no later than Jan. 1, 2017. Click here for the full story, on The Hill website. 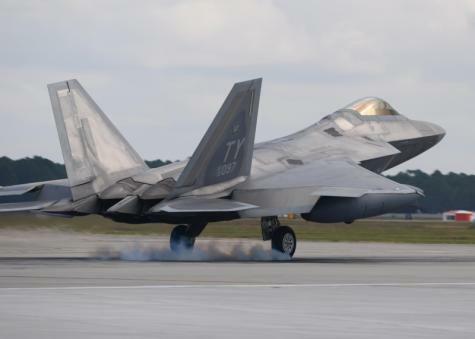 The committee notes that production of the F-22 fifth-generation tactical aircraft concluded in 2009, and notes 187 aircraft were produced, far short of the initial program objective of 749 aircraft, as well as the Air Combat Command’s stated requirement of 381 aircraft. The committee also understands there has been interest within the Department of the Air Force, Department of Defense, and Congress in potentially restarting production of the F-22 aircraft. In light of growing threats to U.S. air superiority as a result of adversaries closing the technology gap and increasing demand from allies and partners for high performance, multi-role aircraft to meet evolving and worsening global security threats, the committee believes that such proposals are worthy of further exploration. Therefore, the committee directs the Secretary of the Air Force to conduct a comprehensive assessment and study of the costs associated with resuming production of F-22 aircraft and provide a report to the congressional defense committees, not later than January 1, 2017, on the findings of this assessment. The committee expects the report to be unclassified, but may contain a classified annex. (5) Any other matters that the Secretary deems relevant. Click here for the full text of the mark-up (45 PDF pages), on the HASC website.